The larger of these two units, the Esbe LTC171 is used for log gasification boilers up to 90kW. We stock we carry has the cartridge which opens at 60ºC, fully open at 70ºC. We also carry alternative temperature cartridges. 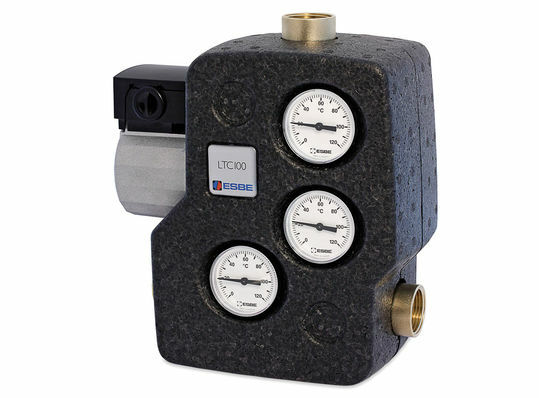 Beyond that we would recommend using a CRA111 controller and VRG 3-way valve to support higher flow rates.